The average retention rate for all first-time entering students between 2015 and 2017 is 52.3%. See below for breakdowns by declared major. Methodology: Retention is defined as first time, degree-seeking (FTDS) students who enrolled in a Fall term and re-enrolled the following Fall term, plus those who graduated between terms, minus those who graduated and re-enrolled. Some programs are noticeably missing (RN, PN, and Respiratory Care) because students are not declared as those majors upon first entering. The average on-time completion rate for all first-time, full-time, degree seeking students who entered the college between 2013 and 2015 is 26.3%. See below for breakdowns by declared major. Selective Allied Health programs are excluded from the following reports. 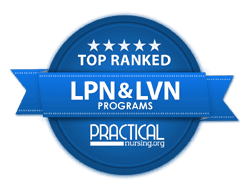 Because of the strictness of the definition, there are some programs that will almost never make the cut as the normal time to completion is longer than traditional degree hours, such as PN, RN, and Respiratory Care. See the Selective Allied Health Programs completion report. In addition, more information can be found on our Mandated Information page.